The Department of Health and Human Services (HHS) recently reached a significant milestone in our ongoing efforts to standardize and streamline data collection for recipients of federal HIV funds. On June 28, 2013, Secretary of Health and Human Kathleen Sebelius approved plans submitted by nine HHS operating divisions and staff offices to adopt and deploy common core indicators for monitoring HHS-funded HIV prevention, treatment, and care services and to streamline data collection for HIV services grantees. This approval was the outcome of two years of cross-agency work to respond to the National HIV/AIDS Strategy’s call to standardize data collection and reduce grantee reporting requirements. The Secretary’s approval of these plans paves the way for their implementation in Fiscal Year 2014, beginning on October 1, 2013. This first step to reduce grantee reporting burden will enable HIV grantees to focus more time and attention on providing high quality HIV prevention, treatment, and care services. The Secretary’s approval of these plans is the culmination of a process begun much earlier. In April 2012, Secretary Sebelius issued an action memo through the Office of the Assistant Secretary for Health (OASH) directing agency leadership to achieve three goals: 1) standardize core indicators for monitoring federal human immunodeficiency virus (HIV) prevention, treatment, and care services; 2) streamline HIV data collection; and 3) reduce HIV services grantee reporting burden by at least 20–25 percent by the beginning of FY 2014. To achieve this level of collaboration and coordination, the Office of HIV/AIDS and Infectious Disease Policy (OHAIDP) established the HIV/AIDS Indicators Implementation Group (HAIIG), which was comprised of representatives from HHS agencies with significant HIV services portfolios and colleagues from other federal Departments, as well as non-federal partners from professional organizations, advocacy, and academia. The group was instrumental in providing input into HHS efforts to develop core HIV indicators, identify ways to streamline data collection activities required of recipients of federal funds, and highlight opportunities for reducing the reporting burden of those recipients while preserving accountability for the use of public funds and optimizing outcomes for HIV prevention, treatment, and care programming. In July 2012, the Secretary approved the seven core HIV indicators developed by the HAIIG, which were aligned with Institute of Medicine recommendations for monitoring federally-funded HIV prevention programs and consistent with a framework used by the CDC, HRSA, and others to operationalize the continuum of care needed to achieve durable viral suppression in persons living with HIV. Subsequently, the federal partners turned their attention to developing operational plans to implement those indicators and identify ways to reduce grantee reporting burden on HIV services grantees. By January 2013, initial drafts of operational plans from all nine HHS entities centrally involved in supporting or reimbursing HIV prevention, treatment, and care services had been received, reviewed, and submitted for HHS-wide clearance. Based on feedback from that process, revised operational plans were submitted to the Secretary’s Office for approval in May 2013. On average, HHS entities with substantial reporting obligations for their HIV services grantees are planning to implement a 39 percent reduction in required HIV data reporting and 29 percent reduction in HIV reporting frequencies. Several highlights from this effort are noteworthy. On average, HHS entities with substantial reporting obligations for their HIV services grantees are planning to implement a 39 percent reduction in required HIV data reporting and 29 percent reduction in HIV reporting frequencies. If one considers CDC’s Division of HIV/AIDS Prevention (DHAP) and HRSA’s HIV/AIDS Bureau (HAB) alone—the two agencies that account for the vast majority of required HIV data collection—data elements and reporting frequencies will be reduced by an anticipated 33 percent. The Office of the National Coordinator for Health Information Technology (ONC), CDC, Center for Medicare and Medicaid Services (CMS), and HRSA/HAB are working collaboratively to translate the HHS core HIV indicators into the formats necessary so that they can be captured and stored in electronic health records (EHRs), enabling the electronic sending and sharing of the data among providers (a process known as “e-specification”). This will facilitate the inclusion of these indicators as clinical quality measures in electronic health record systems beginning in 2016. CDC and HRSA have established a working group to explore new data sharing opportunities, such as using CDC’s HIV surveillance data (e.g., CD4 counts and viral loads) in HRSA’s ADAP Data Report (ADR). CDC and the Substance Abuse and Mental Health Services Administration (SAMHSA) have added renewed energy to discussions about developing a plan for using a common HIV testing form and sharing relevant HIV testing data in order to reduce duplicative reporting of HIV test results by grantees. HRSA’s Office of Health Information Technology and Quality (HITQ) and HAB are developing a Health Level Seven International (HL7) implementation guide and standard clinical document architecture that will standardize Ryan White Services Report (RSR) data extraction across all certified EHR products, thereby increasing the interoperability of RSR and EHR data systems. In addition, HRSA’s HITQ, Bureau of Primary Health Care (BPHC), and HAB will assess the feasibility of a standards-based reporting mechanism aligned with Meaningful Use to improve the interoperability of its data systems and HIV providers’ electronic health records, thereby simplifying workflow, curbing the need for manual data entry, and reducing errors. CDC will reduce HIV grantee reporting burden by decreasing the frequency of progress reports and data submissions in multiple programs and by consolidating HIV funding opportunity announcements. Additional reductions will be achieved in the future by adopting a standardized reporting template and limiting progress reports to one per year for all new FOAs. Even with the considerable progress toward achieving the goals of both the NHAS and Secretary’s action memo, we believe that it is possible to achieve still more by realizing additional opportunities to standardize and streamline HIV data between HHS entities, not simply within them. Standardizing additional HIV data indicators with uniform definitions and common specifications across HHS, beyond just the seven common core indicators. Engaging HHS agencies in an ongoing review of their approved indicator implementation plans to identify points of synergy and opportunities for further streamlining and burden reduction (e.g., aligning reporting deadlines and frequencies). Minimizing duplicative data reporting through improved data sharing within and between HHS entities engaged in or funding HIV prevention, treatment, and care services. The progress achieved to date and the opportunities that lie ahead are a tribute to the dedication of many key HHS agencies’ staff and leadership and their willingness to work in close collaboration with each other and respond to ideas and requests from non-federal stakeholders on these important issues. 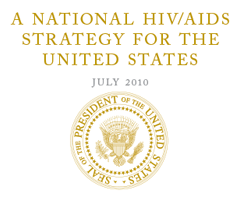 By implementing these plans, HHS will make important progress toward collecting and better using valuable data that supports efforts to understand and address gaps in the HIV care continuum and in achieving the National HIV/AIDS Strategy goals of reducing new HIV infections, improving access to and outcomes from quality HIV care, and decreasing HIV-associated health inequities and disparities. 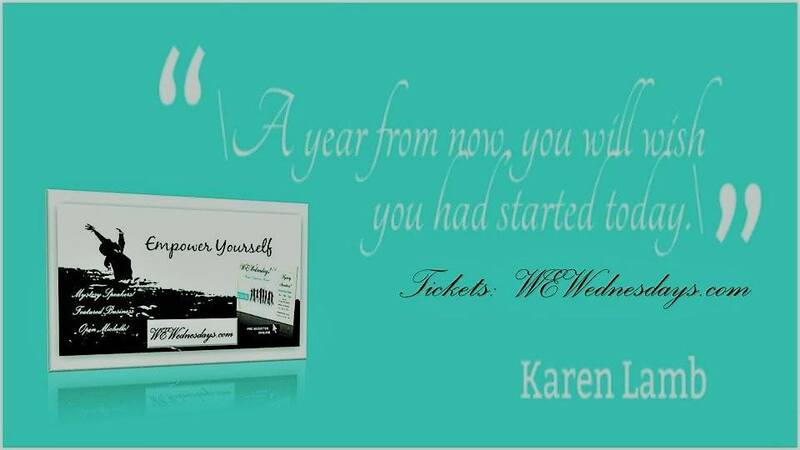 Filed Under: AIDS - H.I.V., Uncategorized Tagged With: A Celebration of Women, AIDS.gov, care services, CDC, cross-agency work, federal HIV funds, Fiscal Year 2014, HHS, HIV, HIV prevention, HIV/AIDS, Infectious Disease Policy, Kathleen Sebelius, National HIV/AIDS Strategy, Obama, Take Action, treatment, US, USA, woman, women taking action, women with HIV, women.